New, amazing calendar application! My Calendar is the best calendar application for Windows 10. 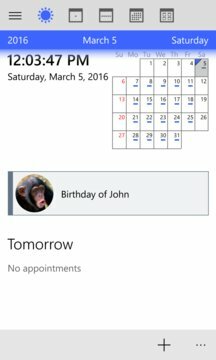 Customizable calendar views, many Live Tile options, birthdays with photos and task management with task categories. - Calendar views: month, week, day. - Switch between calendar views rapidly to see selected day in different views. - See holidays, birthdays and other special days in calendar. - See name days in calendar (available for selected countries). 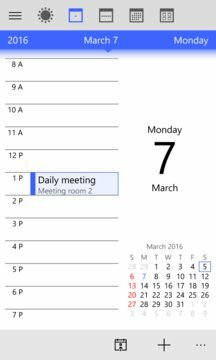 - Many customization options for calendar views. - Several Live Tile styles to choose from. - Select visible calendars from all available calendars in your device. - Optimized for Windows 10. - New calendar views Today, Agenda and Year. - Enhanced calendar views: week view in grid mode. - Enhanced, internal birthday calendar. See birthdays with photos in calendar. Contact your friend easily on her/his birthday. You can try Pro Pack for free for 5 days (trial enabled automatically on app installation).